​EsSCO has developed innovative methods, tools and techniques in applying Program and Project Management. All work can be carried out using the fundamental disciplines of Project Management, and when multiple projects are carried out Program Management is used to provide for transparency in measurement and clarity in communication and reporting. 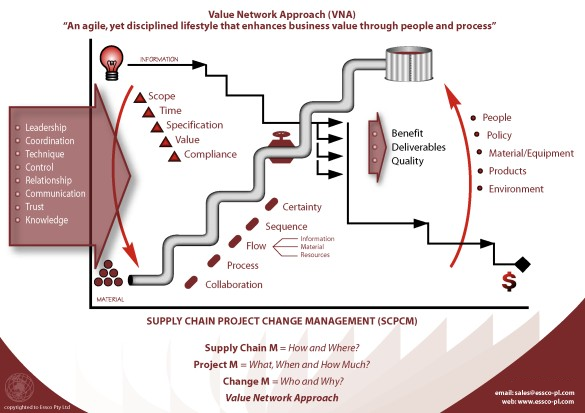 EsSCO has achieved a world first in integrating Supply Chain, Project and Change Management into a single methodology known as the Value Network Approach (VNA).